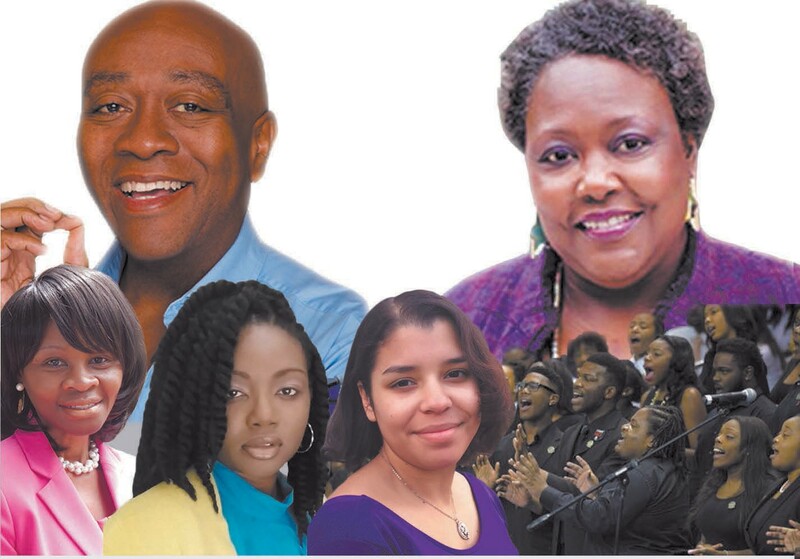 Showcase of Talent include Roger Moss, Huxsie Scott, Charlesetta Blake, Jolene Baker, Savannah State University’s Wesleyan Gospel Choir and Spirit Dancer Sarah Stewart. Roger Moss has been a constant on the Savannah music scene. His rich baritone voice has garnered many awards including Connect Newspaper best singer award for two years and finalist in the American Traditions Competition He has performed with the Beaufort and Hilton Head Symphony Orchestras. Equally comfortable singing, the American Songbook, or gut wrenching jazz and blues Roger maintains a faithful diverse following. His favorite songs are hymns. His performances are filled with honest emotion. Huxsie Scott, a native of Savannah is regarded as one of the greatest jazz/ blues artists ever to live and perform in the Savannah Coastal Area. Huxsie began her career as a jazz vocalist in 1973. During the next fourteen years she performed with many of the area’s premiere jazz ensembles and symphony orchestras.. She was the original vocalist for the Savannah Jazz Orchestra and worked for a number of years as the featured vocalist for jazz great bassist Ben Tucker. In 1987 Huxsie came full circle and went back to her roots , singing Gospel and Inspirational music. She has recorded three full Gospel projects and is featured on several other recordings. Charlesetta Blake is a native Savannahian and the mother of one daughter, Tiffany. Charlesetta enjoys singing and honoring Christ through the praises of song. She has participated in the American Diabetes Association Gospel Fest for the past 4 yearrs and she counts it all joy. Jolelne J. is Savannah native now residing in Martinez, Ga. You may remember Jolene as the former voice of Joyful Noise with Jolene on 1230 WSOK. After her years in media, Jolene entered into adults education as an Academic Counselor and Associate Faculty. She is now entering into a new season as a corporate trainer for ADP, LLC. She is also the owner/operator of her personal ministry, Brand New Mercies, LLC. www.coachjolenej.com She is the daughter of Elder William and Pastor Carzadean Harris of Rhema Christian Fellowship, proud Granddaughter of Mrs. Lucille E. Tanksley and niece of songstress Charlesetta Blake. Sarah Stewart has attended Savannah State University as a English major. She has taken this year off from school and is working as a teacher assistant at St John Academy. She began praise dancing when was only 7 years old. A contest between community leaders to raise money, Kiss-a-Pig is a regional campaign with competitors from throughout Southeast Georgia. At the end of the three month campaign, the team with the most money kisses a live pig, honored by ADA as the original source of insulin. Funds raised during the Kiss-a-Pig campaign benefit American Diabetes Association, the nation’s leading organization dedicated to curing diabetes and improving the lives of all people affected by diabetes. Diabetes is the nation’s fifth deadliest disease, killing more than 220,000 Tickets can be purchased at Lester’s Florist, The Savannah Tribune office ICON Hair Studio and Boutique on Hwy 80 in Poolerl For more information about the Gospel Showcase of Talent contact Tanya Milton at 912-658-2813 or tanya@savannahtribune.com. For more information about the American Diabetes Association’s Kiss-a-Pig campaign, contact Maria Center at 912-353-8110, ext. 3091 or mcenter@diabetes.org.